As we all know, dock levelers can help boost the productivity of business that involves loading and transporting products. There are different types of dock levelers to select from and when deciding what to choose, it is important to keep in mind that purchasing a dock leveler has a corresponding responsibility. That is to use the appropriate type of dock leveler that can handle the weight of the cargo or forklift, and cautiously operate them based on their manufacturer’s guidelines. Finding a reliable servicemen you can turn to in case you need dock leveler repairs, maintenance and replacement are smart precautionary measures, to ensure that your dock levelers are in best shape. As a result, your business will gain more profits, and your workers will be safe from any accident. Our well trained technicians at Loading Dock, Inc. can offer first-class dock leveler repairs, replacement and maintenance that meets your budget. We guarantee fast turn-around time and same day repair for your dock leveler equipment including repairs for Rite Hite Dock Levelers as long as parts are accessible and not outdated. Click "Book Service Call" Now! 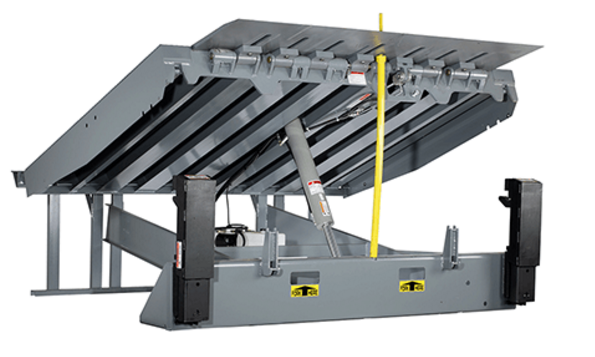 See the Rite Hite Dock Leveler that we service by reading more below.